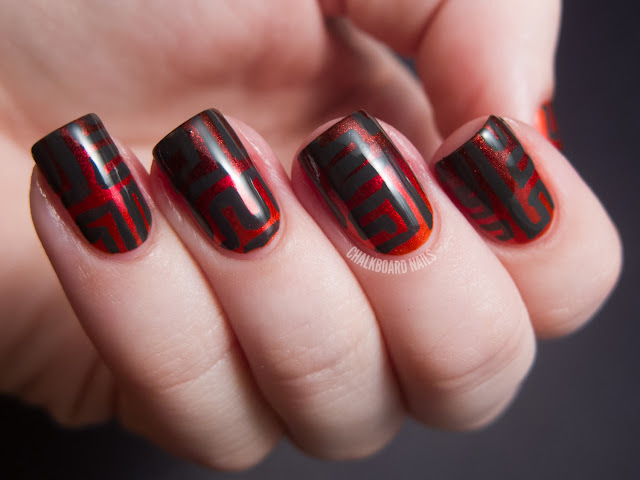 More OPI Germany nail art? Well of course! The collection is definitely inspiring to me and I just keep reaching for them! For this look, I started out by making a gradient of Deutsche You Want Me Baby (the glowy orange shimmer) and Danke-shiny Red (the fiery red shimmer). I quickly realized that the gradient wasn't obvious enough for my tastes, so I added Ger-manicure by OPI into the mix, which gave the gradient a lovely kind of burnt effect. If you need help doing gradients, please check out The Nailasaurus. 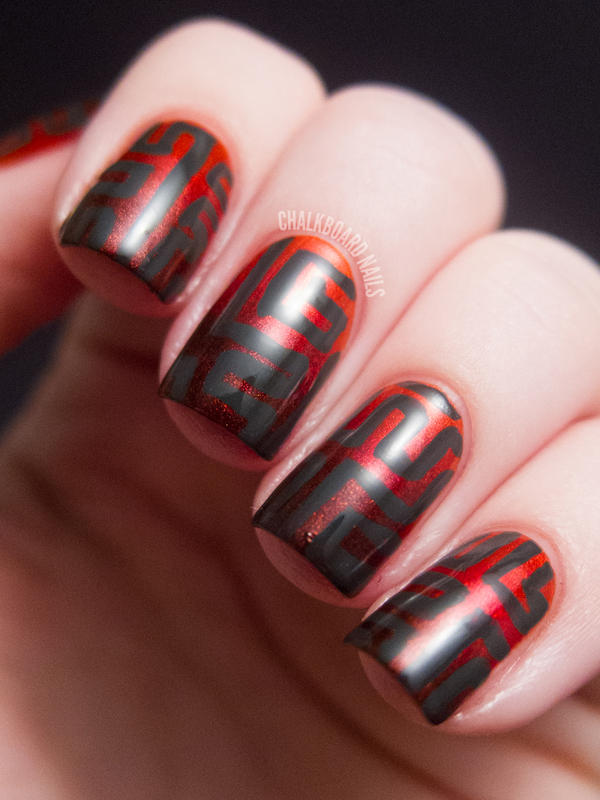 After the gradient was done, I used my favorite medium length striper brush to freehand on a maze pattern in Nein! Nein! Nein! Ok Fine!. This is the second time I've done this pattern, the first time being my purple, blue, and white version. I really love the way that the three colors came together to form the base. The finishes of all of them came together perfectly and made a seamless shimmery gradient. I also like that you can see the tone of Nein! Nein! over the darkest color in the gradient. It fits in but still stands out. The OPI Germany Collection is available now! You can find it at many professional salons, including Beauty Brands, Beauty First, Chatters, Dillard’s, JCPenney, Pure Beauty, Regis, Trade Secret, and ULTA, for $8.50 suggested retail per lacquer. This and the avocados are my fave so far. You're making me want to buy this entire collection! this is a thing of beauty! 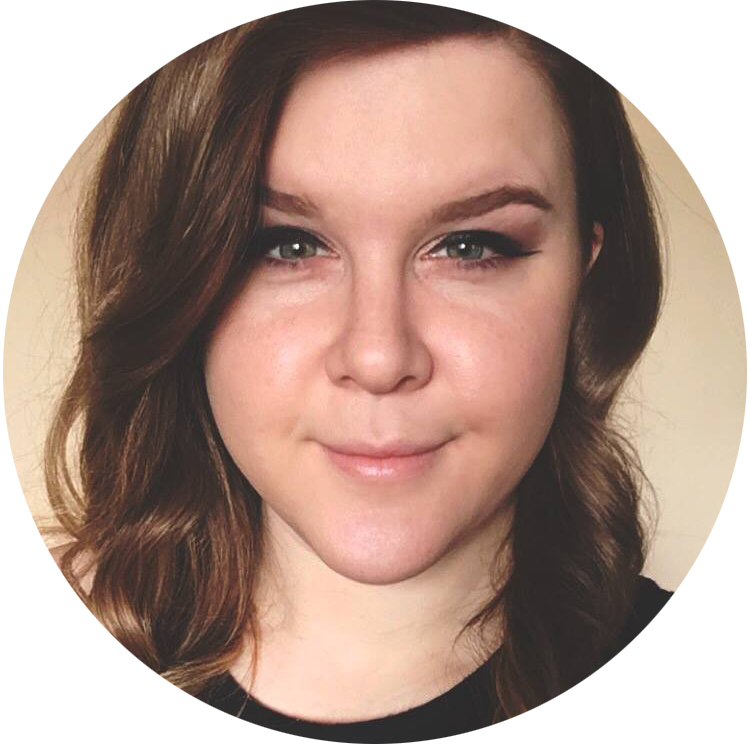 i've found shimmers and holos make the best finishes for gradients, they blend like butter! I love it! Looks very "aztec" to me. Gorgeous gradient. This was absolutely gorgeous! I love the gradient under and the pattern is just great! Oh my!! I am soooooo completely in love with this!! MUST HAVE! I love your design but you had me sold at the gradient! Great look! Gorgeous gradient, love the design! I seriously love this design! You have such a steady hand to do such cute designs. 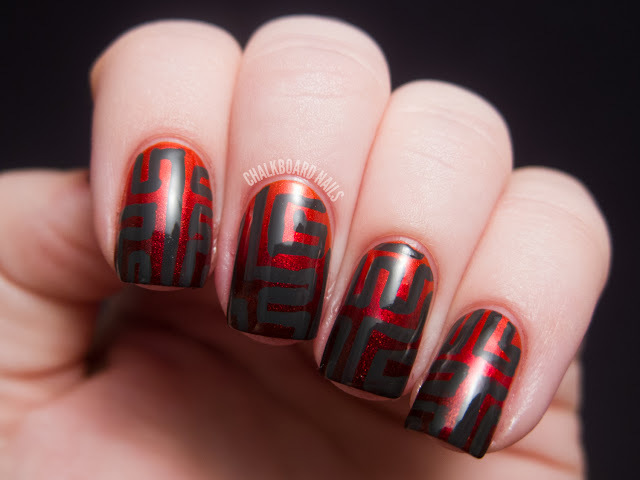 I love this maze design and loved the avocado nails. Super creative. Wow, I love this! The gradient design as base looks great! Holy crap! this is stunning! Wow! How do you come up with this stuff?!! It's outta control cute! I would LOVE to see the gradient without the artwork. It looks AMAZING all the way around!!!!! Wow! These look so cool! Love it! wow i love this! really awesome look!